He even managed to get an apology from the killer's granddaughter, who thanked the man for bringing out “the entire truth” of Russia's past. Joseph Stalin had hundreds of thousands of Soviets executed during his Great Purge in the 1930s. Nearly all were innocent of the political crimes they were executed for. Karagodin recently got a lucky break when an archivist found an execution order naming Stalin’s secret police agents who personally executed his great-grandfather. The document confirms that they carried out that court’s death sentence in the city of Tomsk. Karagodin now plans to sue the state in an unprecedented case. He says the document proves there was a direct chain of culpability, leading back from the executioners who pulled the trigger and left Stepan Karagodin’s body in a mass grave, to the tribunal members who rubber-stamped the death sentence, to security officials who arrested his grandfather, to the head of the secret police, Nikolai Yezhov, and finally Stalin himself. Karagodin uncovered this trail with the help of his blog, where he posts updates on his quest to uncover the truth of what happened during the Great Purge. 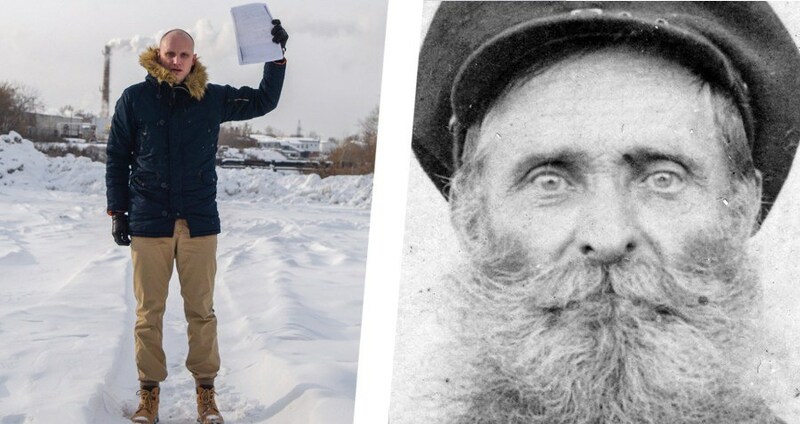 Inundated with requests for advice on searching for missing relatives, Karagodin received an email shortly after he posted his great-grandfather’s death warrant. The email came from the granddaughter of one of the executioners, asking for forgiveness. She said that Russia needs to face “the entire truth” of its past. He wrote back that he was “sincerely grateful” and thanked her for her “brave” letter. Despite this one instance of closure, the Great Purge remains a largely unresolved dark spot in Russia’s past. A systematic campaign of political oppression that occurred for two years in the USSR before the outbreak of World War II, the Great Purge saw the executions of anywhere between 600,000 and 1.2 million Soviets suspected of being saboteurs. Next, check out Joseph Stalin’s menacing mugshot from 1911, before reading up on these Joseph Stalin facts that will undoubtedly surprise you.